We are a Tour and company based in Kenya we deal with both Budget Camping Safari Tours. Luxury Tented camps Safaris, Lodge Safaris, for Individuals, Groups and Family Holiday in East Africa, we are also specialize with Mountain Climbing in Kenya and Tanzania. 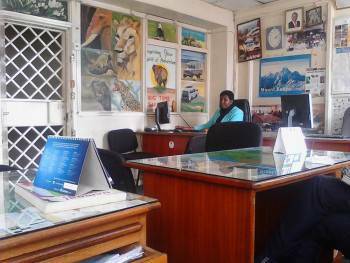 We also do Domestic Flight's Train booking and Hotel bookings in Nairobi, Mombasa, Zanzibar, Arusha and Tanzania. No safaris offered by Big Time Safaris Ltd on SafariBookings at the moment.